Man, this route is out there! It officially gets to a point where it’s closer to the New York border than it is to Boston. Interestingly, this far-out land has had a bus route for a while; this deviation-filled loopy-loop used to be operated by a company called Community Transit before MART took it over. It’s funny, MART is treated like some bloodthirsty multinational corporation out here, even though it’s actually a tiny RTA in the grand scheme of things. We’re definitely not in Kansas anymore! 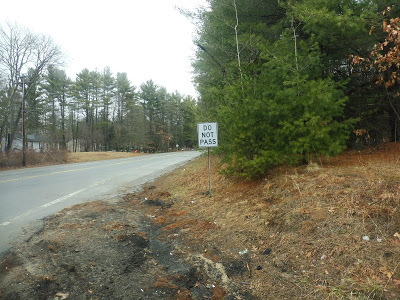 So, let’s take a look at this crazy route out here in almost-western Mass. Well…what other kind of bus would it have used? 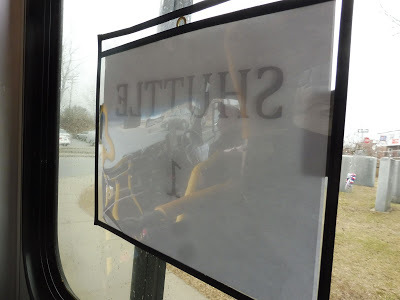 This side paper said “Shuttle 1” while a paper on the dash said “Shuttle 2”! We were on the 2, for the record. 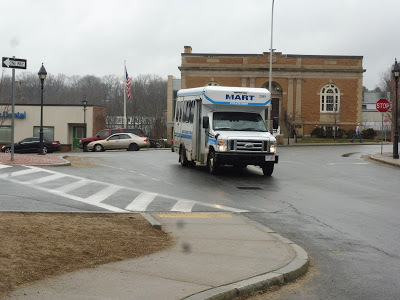 Like most MART in-town shuttles, this one consists of a loop that has separate “routes” running clockwise and counterclockwise. This is by far the longest one MART runs, with each circuit taking a full hour and a half! The crazy length of the trip was exemplified when someone was about to board here at the Athol ITC. “Do you go to Market Basket?” the person asked. “Eventually,” the driver responded. The passenger ended up waiting for the other bus. 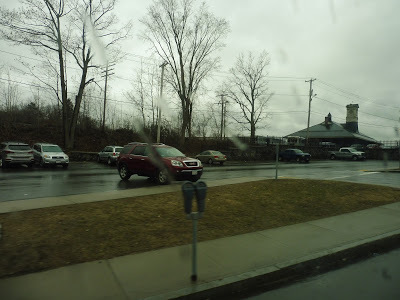 We left the Athol ITC on Traverse Street, running past a few businesses on the outskirts of downtown. We soon turned onto Carbon Street, taking us under some train tracks, then we turned onto Hapgood Street on the other side. The scenery consisted of houses at first, but once the street became South Athol Road, it passed a few industrial buildings. 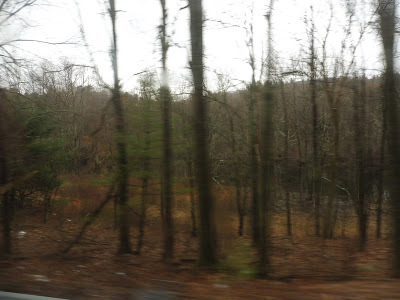 Also, this whole time, the driver was regaling us with fascinating stories about his childhood and the history of Athol. “None of this was here when I was a kid,” he said. As we came close to the Millers River, where a huge canoe race happens annually, we entered the forest. It was basically all trees everywhere, but once we turned onto Partridgeville Road, houses started to show up more often. 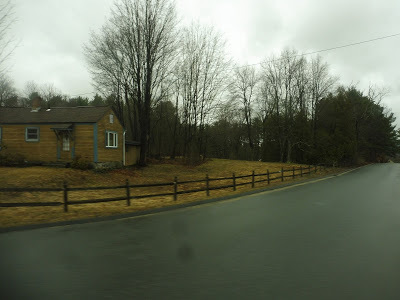 “My dad built that house,” the driver said as we passed one of them. He also told us about how he knew everybody in the area. “And I mean everybody,” he said. I like that wooden fence! 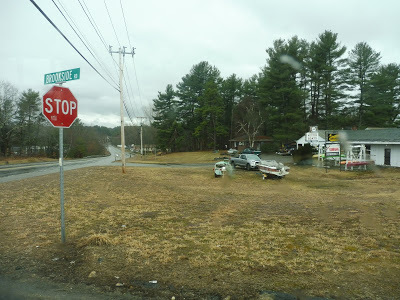 We deviated into Quabbin Valley Healthcare, a small clinic, then we came back a ways down Daniel Shays Highway. 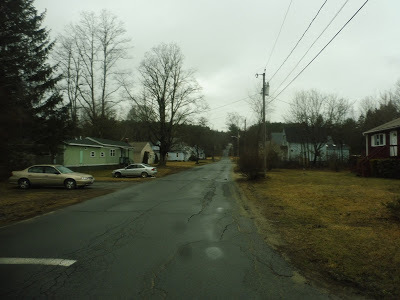 Next up was a right on East River Street, running through some forest before coming out into a clearing for Orange Municipal Airport – we were now in that town. The airport was on one side of the road, while the other side had a trailer park. Pine Crest Apartments are this way. We went by the Pine Crest Apartments, the Orange Police Department, and a solar farm all at once, then we briefly came up to the Millers River again. It was a residential neighborhood here, but we also went by a park and some old industrial buildings. We entered the neighborhood further by turning onto Hayden Street, and this was almost all residential. 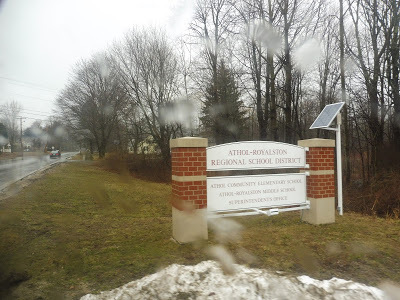 It turned out that we were in here for a deviation to the Ralph C. Mahar Regional School. Interesting choice to have the bus deviate there all day, but okay. We headed back up through the neighborhood on South Main Street, which not only had the houses from before, but also some retail, a few churches, and a post office. 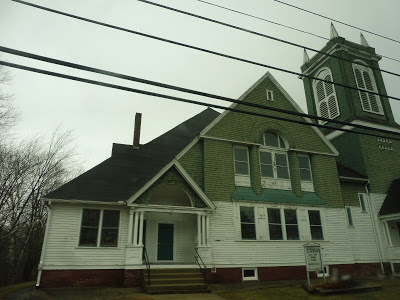 There’s a lot of character in this old church. We were almost in Orange Center, but first we had to do a deviation onto West River Street, which was lined with houses. It curved its way up into sparser neighborhoods, eventually culminating with the West River Health Center. After that deviation had been completed, we went all the way back to South Main Street and used it to cross the Millers River. We finally came into Orange Center, turning onto Water Street. 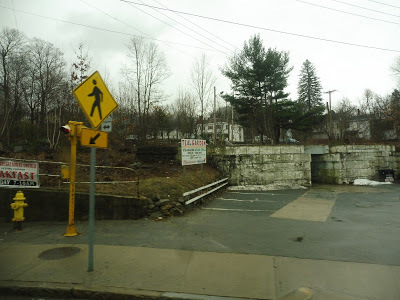 After going by the Orange Fire Department and crossing a single train track, we pulled up on the other side of the street from a decrepit shelter. “Hey Joe!” the driver called to someone sitting in the shelter. “Are you gonna sit there all day?” Joe, looking dazed, slowly nodded his head. “Okay!” said the driver as we pulled away. Also worth noting: this shelter kept its FRTA branding unlike at the Athol ITC, because the FRTA actually comes here! One could travel from Orange to Greenfield if they so wished! A nice-looking hair place in Orange Center. We turned onto East Main Street, running down the short and mostly boring main drag of Orange Center, but the street became West Main Street when we crossed the intersection with North Main Street and South Main Street. Gosh, what an intersection! 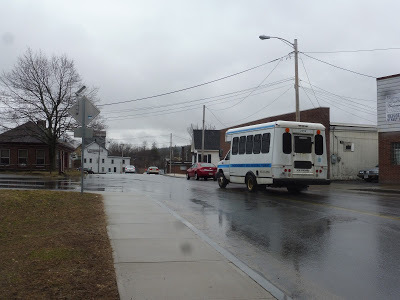 After a brief pullover so the driver could receive a call regarding evening plans (uhh…), it instantly became residential on West Main Street, at least until we deviated into the Orange Innovation Center. Sounds like a cool place! 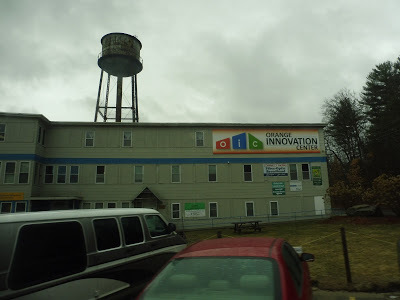 Of all the places to find an “innovation center,” Orange is one of the strangest! We returned to Orange Center on Main Street, but this time we passed straight through and continued going eastward from there. There were a bunch of dense houses along here, but retail was also mixed in at certain places. Things started to get sparser as we came up alongside the Millers River, then we did a deviation to good ol’ Walmart. What an interesting place to put a boat shop. We deviated into Hannaford, where the driver said hi to practically every single person in the parking lot. He wasn’t kidding when he said he knew everybody in the area! From there, we came back out and went east down South Main Street. 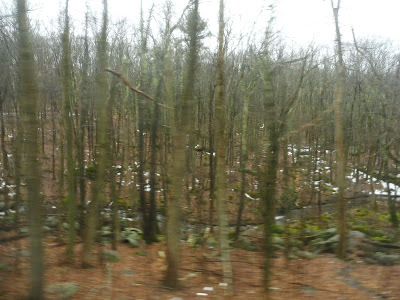 There was a brief section where it was just forest and the occasional homes, but we soon reentered civilization. 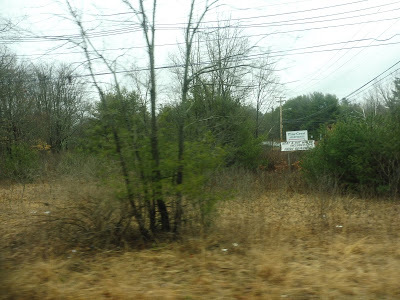 There were dense houses, some businesses, and an apartment development before we crossed the Millers River. Some industrial-looking buildings on a side street. 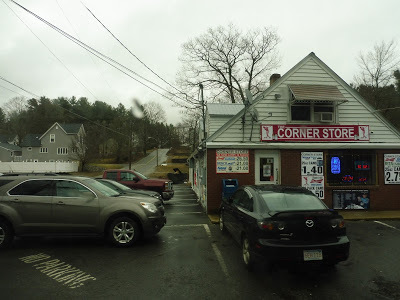 We were almost in Athol Center, but at the last second, we used Freedom Street to deviate into a very depressing Ocean State Job Lot. 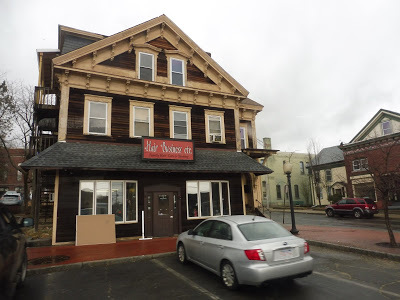 Now we could come back to Main Street and run through Athol’s downtown, which was just like Orange’s except bigger and with a few more interesting businesses. Finally, we turned onto School Street and pulled up to the Athol ITC. Were we done??? A view of the ITC. HA! No! We still had the eastern side of the loop to do! There was still another 40 minutes of minibus fun to be had! Unfortunately, a bridge we were supposed to take was out of commission because of a storm the night before, so we had to take a detour. Thus, we turned around from the ITC and used the Crescent Street bridge to get over the Millers River. There were huge old factories along Crescent Street, but once we turned onto Lake Street, we entered a residential neighborhood with dense houses. We turned onto Pequoig Ave, where the homes continued, with the added bonus of a playground! The road curved north to become Pinedale Ave, where the buildings lost some of their density, but it came back once we turned onto Lenox Street. It was a right on Silver Lake Street next, and it was more of the same, give or take a cemetery. 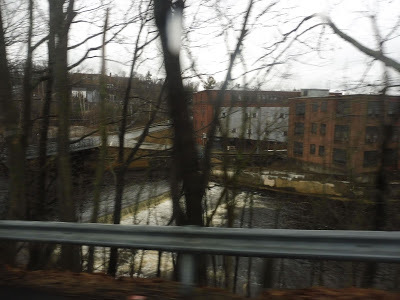 We used Chestnut Hill Ave to get over the Millers River, getting a nice view of a gigantic old factory building. Next, we turned onto Main Street, which continued to be mostly residential, but there was a retail-oriented section centered around Uptown Common at the intersection with Chestnut Street. The old factory and the river. Going alongside a tiny creek. Well, not quite: we did get to do an extra deviation coming back. Yes, turning onto Pleasant Street, we ran through a residential neighborhood before looping around at the Athol/Royalston Middle School! Lots of people going there at 1:30, yes indeed! So then it was back to Main Street, and we stayed on that for a while before reaching a new section of the route by heading down School Street. There were dense houses along here, and they continued as we went down Cottage Street, eventually serving an apartment development. We turned onto Harrington Ave, then Sanders Street, and that led us to Carbon Street. 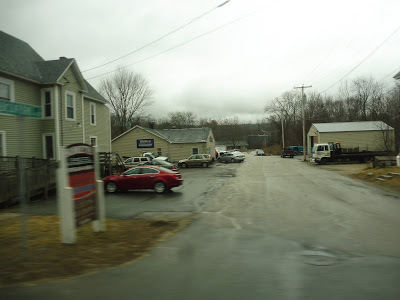 We went up Exchange Street, took a right at Main Street, and finally made the final turn to arrive back at the Athol ITC. That ride was SO LONG!!!!!!!!!! That was truly a slog. Ridership: For such an awful shuttle, it’s funny that this thing does get some people. I mean…okay, only around 75 per day, but that’s something! I guess it is pretty bad, though, when you realize that that number represents both the 1 and the 2, and each trip takes an hour and a half. 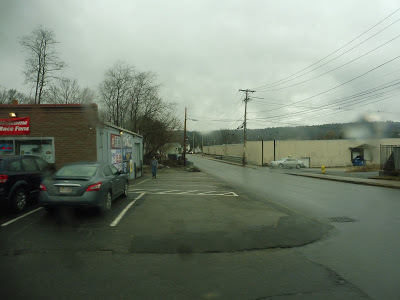 Pros: Athol is a much larger town than I originally thought, and it definitely needs a bus route. I guess that town whose name is oh-so-easy to make fun of is more substantial than we realized! Orange is a lot smaller, but it makes sense to connect the two towns up. Cons: It’s an hour and a half of just endless deviations! It was bad enough having to sit through it on the jiggly minibus, but reliving it again when writing this post was almost just as bad! The 90-minute frequency is awful, too, but man, the one thing on my mind right now is just how crazy the darn route is. Nearby and Noteworthy: Please just get me out of here. I WANT TO GO HOME! 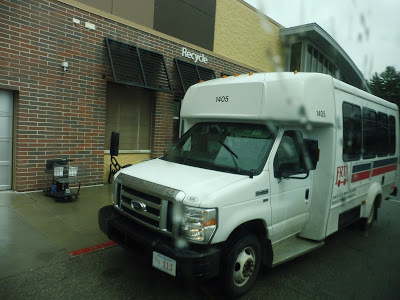 i know it's a long trip ,but if you ever have a free day you should go to orange and ride the frta 32 to greenfield,that would be an interesting review! Miles, I'm just curious. Are you planning on covering the FRTA at some point in since it does connect with the MART? I hope to someday. I would probably go out there with a car. 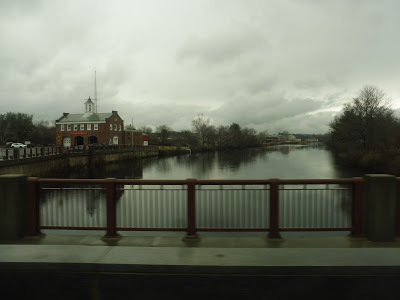 Is Fitchburg Line to Fitchburg and then RTA buses through Gardner, Athol, Orange, and Greenfield, and then Amtrak Vermonter back to Springfield and Lake Shore Limited back to Boston a viable day trip? FRTA is likely going to happen, but I'm almost certain I won't make it to CTtransit. That system is so huge, and it opens up a giant can of worms with its many systems: Hartford, New Haven, Waterbury, etc. I'm mostly joking when I suggest this, but there is always the option of selling ad space on the website, and making a living out of it and reviewing all the transit and commuter rail systems in the northeast corridor. I told you college's gonna make you do weird things. Five-and-a-half hours from North Station to Greenfield. Think about it. What percentage of the deviations have people getting on and/or off on a typical trip? Would some sort of dial-a-deviation service where there's a published list of possible deviations but they only deviate when they know they're going to get a passenger make any sense? It's tough to run a service like that, though. It makes it more inconvenient for passengers who might want to get on at a deviation, and then you have to build time into the schedule for it to make the deviation, even if it might not. It's definitely a tough trade-off.